Do atentata after the airport in Istanbul to Bulgaria to take more serious measures to ensure the security of the people? The situation in Istanbul is really alarming and the situation is such that it can happen virtually anywhere. First - condolences to relatives of the victims. Secondly - this is about private problem or a problem that is associated with only one hand. They have to take appropriate measures. What I think should happen in our fast is not associated with any extraordinary measures or ostentatious. Anyway, generally need security at airports and border crossings to be strengthened as I have information that the Interior Ministry permanently take such security. However, what I want to highlight is the need for rapid examination of the law on countering terrorism. This law seems to me to enter into the National Assembly in the fastest possible way and MPs to quickly act on it. This is required. I know that there are many voices that talk about the law in any way restrict human rights. But it should be clear that this is a reasonable limitation. It should be clear that this is a restriction which is only in the area of ​​anti-terrorist operations and in any case is not about such a drastic violation of human rights, as some, including politicians, are trying to present it. I speak because I participated in the work itself creation of the law, because I know anti-terrorism legislation of many countries and because this law is not created on the basis of free creativity of the people who worked expert on it, and they are not few. It was created based on the experience and the least that we could read and perceive by the laws of other countries. At what stage and why still delay the vote? I think the bill is to stage the Council of Ministers, I do not know its further movement, but my information is that there already. That is pending its submission to the National Assembly if of course the Council of Ministers so decides. But anyway, expert participation, including representatives of the prosecution, ended at the time of the creation of this law. I am a supporter of exactly such legislation. I know very well what are the objections to human rights violations, but argue that in the current circumstances each country must have absolutely adequate mechanism. Do not late for our country to adopt this law? The adoption of such a law does not depend on me. I dare say that one of the last Advisory Council on National Security, which was invited by the president, suggested just that - the development of just such a law. And I was extremely pleased that the members of the Board accepted this proposal and it was supported. And eventually the project was made. From then on things are in the hands of MPs. I'm sure they will exert sufficient will and responsibility. Does the prosecution signals and data on terrorist threats to our country? No. But you can be sure they are working in full cooperation with SANS and the Interior Ministry. i. e. each signal, albeit with low confidence, subject to appropriate scrutiny. Moreover, in practice we have to finish the pre-trial for the bombing in Sarafovo. 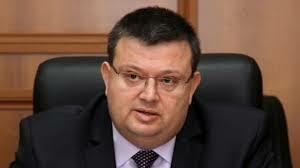 The plans of supervising prosecutors have until July 15 indictment to come spetssada. How would you comment shootout in Sofia? Immediately after the incident, the prosecution was informed by my order and in line with the Acting City Attorney location is sent prosecutors and investigators. Otherwise pre-trial proceedings are conducted concern as robbery goldsmith shop and the car on the way to escape, so of course there are pre-trial for causing the death of one of the perpetrators. One hypothesis which is similar to a border policeman in the area at the "Sredets" where already the result was announced.